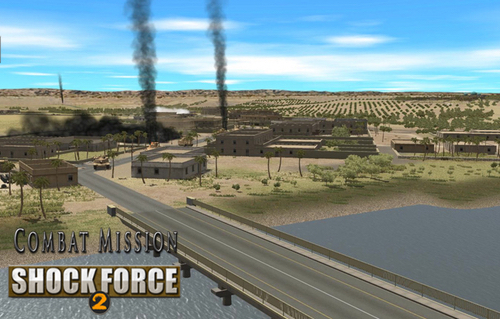 Combat Mission Shock Force 2 finally updates the ground breaking Shock Force 1 game setting to the current Game Engine 4 environment. 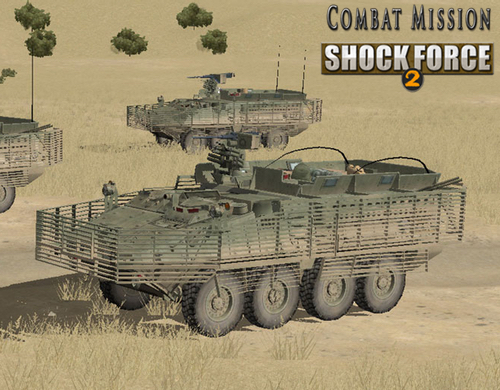 Due to massive changes over the last 10 years of Combat Mission development the updating and upgrading of the orignal content to current standards was no small task. Most of the 3D models had to be rebuilt, reskinned, and reintegrated into brand new TO&E coding. All orignal scenarios and campaign games had to be checked out, tweaked, and generally improved so they retained the balance and excitement of the originals. Fans of the orignal game will find that this is much, much more than a new coat of paint. In appreciation of the players who are still bashing away on the orignal CMSF1 we are providing very inexpensive upgrades (see the Upgrades section of this site). New players should check out the Bundle options which include one or more of the CMSF2 Modules. IMPORTANT: Due to the real world events in Syria, we feel compelled to remind everybody the orignal Shock Force 1 game was released 4 years before the civil war started and therefore does not seek to simulate it in any way whatsoever. Take command of US Stryker Brigade Combat Teams (SBCT) and Heavy Brigade Combat Teams (HBCT) to fight against Syrian Army Infantry, Mechanized and Armored units in an arid setting. Experience the full range of modern threats to conventional military forces, including irregular combat forces, terrorists, spies, suicide bombers, IED's and other deadly tools employed in the asymmetric warfare of the modern day. 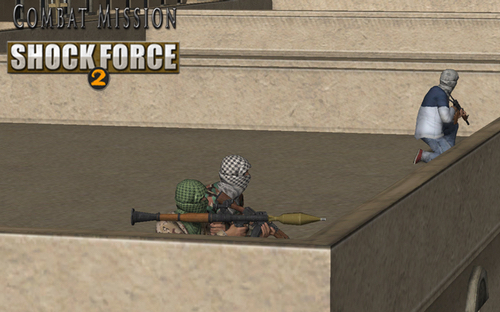 Play the Task Force Thunder campaign, more than a dozen carefully crafted battles, or unlimited Quick Battles.